MWC 2017, the Mobile World Congress, had record-breaking attendees from 200 countries during Jun 5 - Jun 9, 2017. Now, the much-anticipated WWDC 2017 starts appearing on the scene. How many people would it attract? Would it bring us more surprises? iOS 11, macOS High Sierra, new iPad Pro, iMac Pro, HomePod...the list goes on! Now let's see what are the new Apple products from WWDC 2017. Now the details of iOS 11 is finally unveiled. iOS 11 vs iOS 10, this new iOS 11 has no obvious change on the whole UI and the main improvements lie in the basic performance, such as endurance, safety and stability, etc. What needs a special mention is that iOS 11 makes Siri far smarter, adds lots of new app. And now you can update to iOS 11 on your iPhone iPad device. 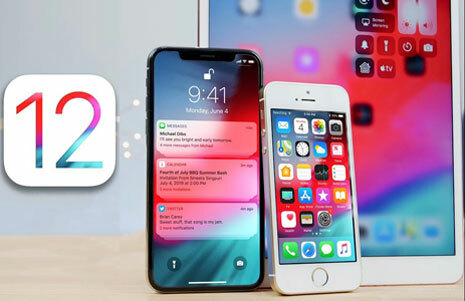 But several things you need to pay attention to: first, although Apple officially says that iOS 11 can be compatible with the latest iPhone 7/6S/Plus/SE/6/6 Plus/5S, iPad Pro, iPad mini 4/Air 2. The old iPhone 4S/5/iPad 2 cannot enjoy all the new features iOS 11 brings to. And when dowloading iOS 11 or upgrade from iOS 10 to iOS 11 official version on iPhone iPad, you might encounter the Software Update Failed error message, in such case, what you need to do is to try again, or just wait for one or two days, cuz millions of Apple users are updating to iOS 11 and Apple's server might be under great pressure. Learn how to fix iOS 11 problems if you are facing issues. There is a popular saying about WWDC: WWDC wouldn't be WWDC without an update to Mac OS X . Damn right! Based on the previous WWDC highlights, we can come to a conclusion that each new Mac OS X debut on WWDC, the new macOS High Sierra uncovered its mysterious veil at 2017 WWDC. Good news for Apple Watch users that you can enjoy tons of new features coming from WatchOS 4 on Apple Watch models, such as new sports in the Activities app, better sharing features for workouts, more sleep/health-tracking features. Better still, watchOS 4 is expected to make Apple Watch last longer than before. watchOS 4 also features new Siri-based watchface. Pretty convenient and fast! Thanks to watchOS 4, we will see more advantages from Apple Watch. New Apple Watch 3 is likely to launch later this year, running on the latest watchOS 4. Get more free apps for Apple Watch if you haven't. Apple not only wanna tower over its rivals on hardware community, also shows its determination on reestablishing its dominance over the speaker arena via WWDC 2017. The WWDC 2017 amazed us not just with better Siri but also with a Siri integrated speaker. Stunning features from Siri Speaker include fantastic sound, voice control, A8 chip inside, Siri intelligence and more. HomePod will be available in December for $349. Siri Speaker vs Amazon Echo vs Google Home, will Siri Speaker beat these two big giants and dominate speaker industry? Apple put some efforts on an update to iPad Pro, which was launched at WWDC 2017 event. The update is a new pro the existing version, a 10.5-inch model without bezels. With A10X Fusion processor, Apple said the 10.5-inch iPad Pro is the fastest iPad ever. One of the biggest advantages of the new 10.5-inch iPad Pro is that you can use its camera for AR. Other new features from the new iPad Pro include new Files app, customizable Dock, improved multitasking. Speaking of new products launched in 2017 Apple WWDC, top of our wishlist is new Macs. We have been thinking about a new MacBook Pro, armed with better performance, shipped with the latest macOS High Sierra operating system and sharper display, etc. Apple unveiled new iMac Pro at 2017 WWDC. The iMac Pro, coming with 27-inch Retina 5K display, 18-core Xeon processors and up to 22 Teraflops of graphics computation, is said to be the most powerful Mac ever. The new Mac will arrive this December.